At Best™ Theratronics we design products and solutions that help medical professionals treat cancer. 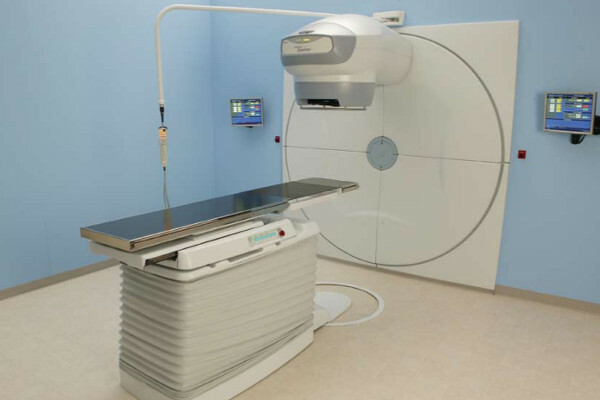 Our products are used throughout the world to deliver radiation treatments. We are best known for the Theratron® Teletherapy treatment systems using Cobalt-60. We have over 50 years of experience in designing, manufacturing, installing, and servicing Cobalt-60 based external beam systems. Over that time we have installed more than 1,500 Theratrons® and supply over 80% of the world’s gamma based external beam systems. Today these machines deliver 45,000 treatments per day. The Theratron® Equinox™ is the newest member of the Theratron® line and the most advanced Isotope based teletherapy system available on the market. The machine offers asymmetric jaws and a motorized wedge. Completely integrated with an Avanza couch, the Equinox™ provides state of the art controls with modern proven technology. The machine can facilitate advanced treatment techniques and reduces treatment times with numerous time saving features. The machine is controlled by an advanced software control system which monitors treatment parameters continuously. In addition, the machine can be optionally configured to communicate with all generally available record and verification systems. The machines are manufactured to the highest standards of quality and meet all of the international IEC standards. Parameters Set and Actual are continually monitored by the machine to ensure accuracy. Partial fields capable without manual blocking. This feature saves time and reduces the handling requirements of manual block trays. One-button setup and patient loading decreases the time required to prepare patients for treatments. 60° Wedge moves in and out of field allowing therapists to block fields simply and effortlessly.